Paul is a 30 year P.G.A. golf professional. Certified First Tee and Special Olympics coach. Paul's teaching philosophy is to repair rather than reconstruct. During his 50 years of teaching, he developed a simple four move repair process which corrects nearly all swing faults. Lessons are available seven days a week, inside or outside, at $35 per half hour. 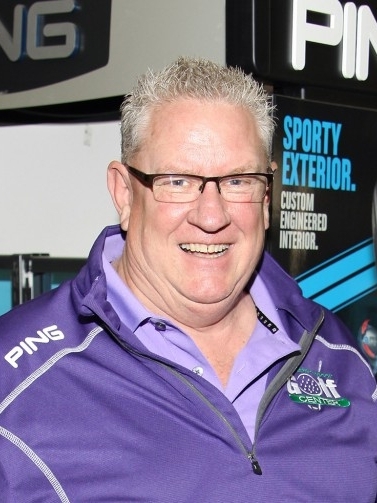 Mike "Bergie" Young has over 10 years of experience in the golf industry. This will be Bergie’s third year as the General Manager. Come see Bergie for all your golfing needs. Callaway Staff, Titleist and KBS certified. Repair and custom builder with 5 years of experience. Enjoys using the latest technology (simulator and launch monitor data) to get you into the best gear for YOUR unique swing and needs. Greg joins Lance Dahl to enhance our club fitting and repair business.